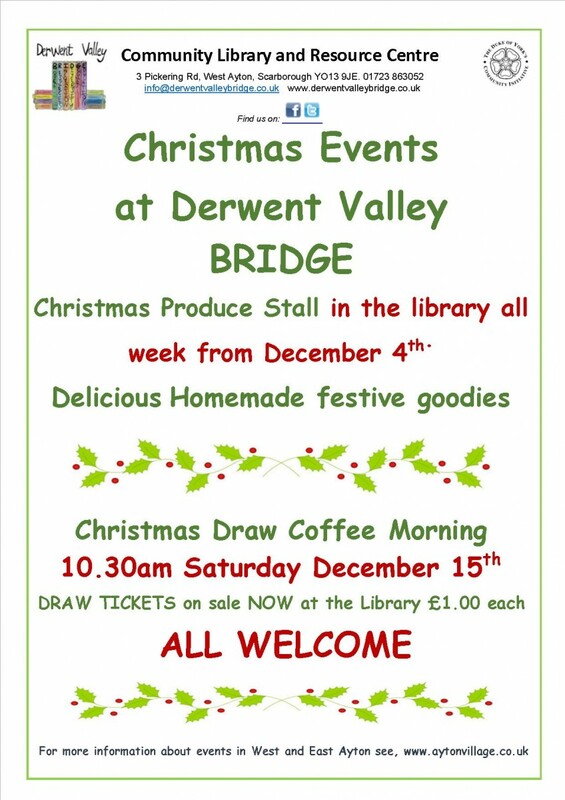 Why not drop in at the Derwent Valley BRIDGE Library in the run up towards Christmas and see what beautiful produce is for sale. You can also buy a ticket (or two) for our Christmas Draw which will be drawn on Saturday 15th December. Come along at 10.30 and join us for a coffee.